Part of evolving as a law firm, includes creating a strong team. We are excited to announce the addition of a power house partner to the firm, Sonia Rodriguez. With the change of our name, we also decided to seize the opportunity for a re-branding. 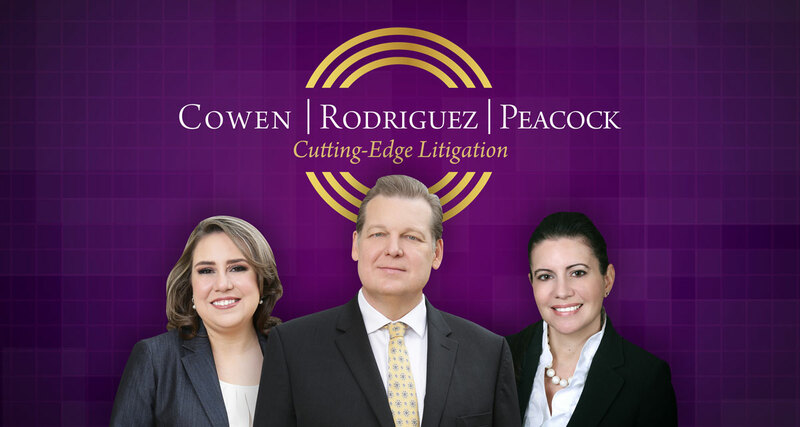 Rodriguez has officially joined our firm as partner. She brings nearly two decades of experience, representing individuals and families who have been seriously injured due to the negligence of others, to the team. A native of San Antonio, Sonia’s commitment to serving her community through honest and fair legal representation was inspired by her father, a passionate labor organizer and her mother, a hard-working and loyal former paralegal. She also holds an AV Preeminent Rating by Martindale-Hubbell, recognizing her for her strong legal ability and high ethical standards. Her experience with personal injury trial and appellate law, allows her to practice not only in the state of Texas, but also before the U. S. Supreme Court and the U.S. Court of Appeals for the Fifth Circuit, which will surely prove to be of great value to our firm. We also felt this would be the perfect time to reinvigorate our branding with a fresh, new look to wear as our “badge of honor” and one that more closely represents the important work we do. The new logo represents the CRP team, embracing the attorneys we partner with, keeping the clients we’re representing at the center of it all. Each “ring” working closely together, to achieve incredible results. The colors in our new branding also, to us, represent a great deal: Gold signifying our track record of success and the wisdom we’ve acquired on our journey; Purple indicating our trial attorneys; and White conveying our simple, yet innovative approach. Combined, we feel these colors solidify our firm’s unwavering determination to achieve the results our clients count on us for. Accompanying our new look, we wanted an equally impactful tagline. One that signified our strength in the industry and the advanced strategies we utilize on a consistent basis, while also not losing sight of what it is we do for the clients and families we represent. We feel that “Cutting-Edge Litigation” embodies this at its core and we are proud to wear it as a part of our moniker. While our names and colors may change, the important work we do on the cutting-edge of the legal system for our clients will continue to be our driving force. We look forward to continuing to be a strong presence in our legal community.